Oh! We survived yesterday! But what worlds are here to greet us on Post-Apocalypse Day as we stagger, blinking, into the light? 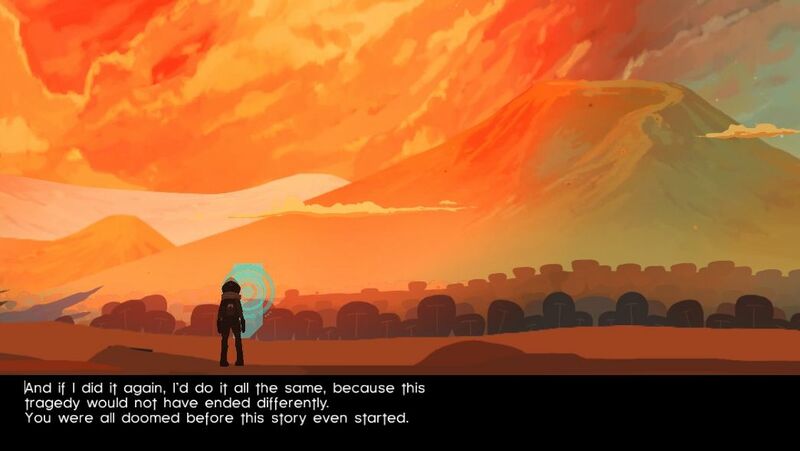 Elegy for a Dead World is what happens when a story starts too late. When no hero appears to defeat the evil aliens, to assassinate the corrupted president, to warn the world about the impending natural catastrophe. 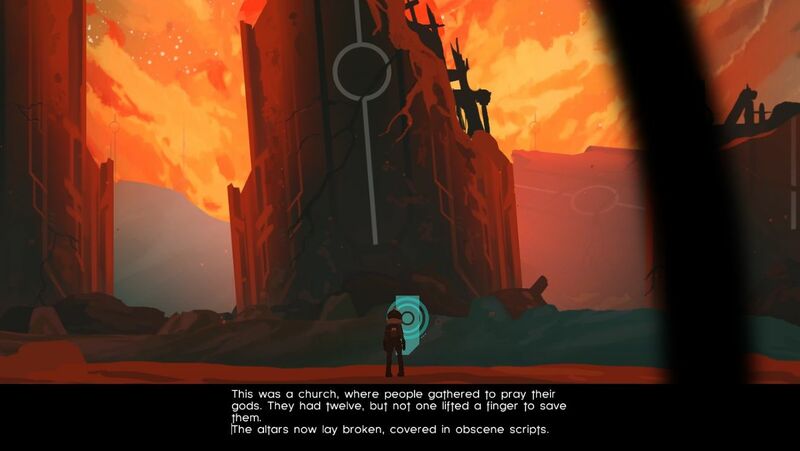 All that remains is silence, ruins, and a morbid curiosity to know how it all went down. 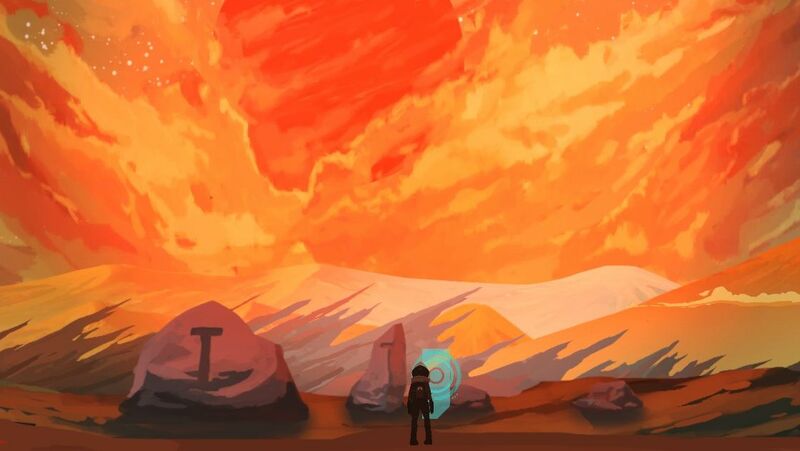 The game lets you walk through the ruins of three different planets, but you can’t interact with the environment in any way. Those worlds are already dead: no NPCs to rescue, no quests to complete, no monsters to kill. There’s nothing to do but write about what you see. You can go freeform, and write whatever (and whenever) you want. Or you can choose a starting prompt, and let the game fill the ruins with phrases to tweak and complete. After completing your tale, it gives you options to share it. You can publish it within the game itself, or export it to a web page. Or you could write it up for RPS, I guess. I chose a story called “the criminal”, and followed it as closely as possible while writing my tale. You can’t fix a story that has already ended. But by sharing it, you can at last give the tragedy a meaning. A crime took place here: 9.5 billion people were murdered by a single creature. It wasn’t a quick process: no atomic bomb, no interplanetary death ray. 9.5 billion individual death sentences got delivered individually, each person slaughtered by a knife. It took decades. The Criminal came halfway across the galaxy to deliver a message: the entire population had been charged with first-degree murder and thus sentenced to death. They were allowed to choose honourable suicide, if they wanted, or to wait their turn to be terminated. The person who delivered this message was half messenger, half executor. But they always called it The Criminal, as if accusing them of felony made their own deaths sweeter. The Criminal did not mind. Look at the people who lived here. They were cyclops, you know? That’s why all those gravestones are marked with a T: a single, crying eye. 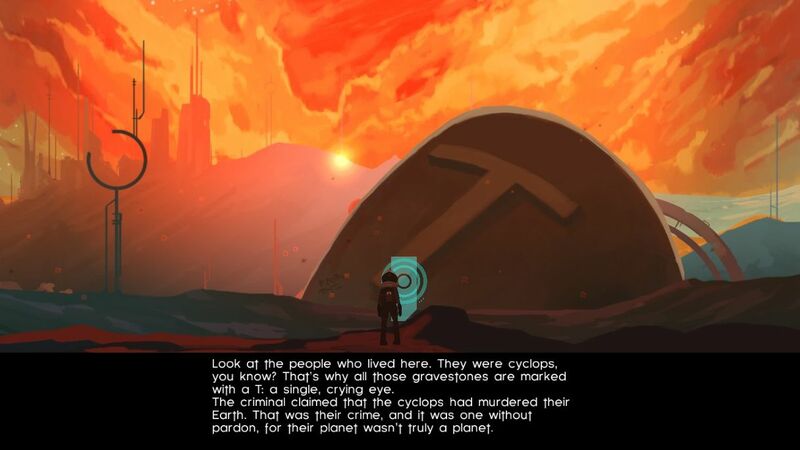 The Criminal claimed that the cyclops’ had murdered their Earth. That was their crime, and it was one without pardon, for their planet wasn’t truly a planet. This world was once known for its rich forests and deep seas, home to a race that came here from distant stars to colonise it. They never realised they had landed on the egg of a Starspawn. They lived, trying to ensure that life was fair for everyone and resources were equally distributed. They dug the eggshell for minerals and let the mould they called trees spread everywhere. Under the crust, submerged in amniotic fluids, the fetus thrashed and screamed, strangled by roots. The earthquakes were deemed just a consequence of normal geological activity. When The Criminal came, it executed each culprit individually, killing them with the sacred knives officially issued by the Galactic Tribunal. Bombs would have been more effective, but way more impersonal. Its mission was to make each culprit suffer; to make them feel all the pain of the mother who lost her child. 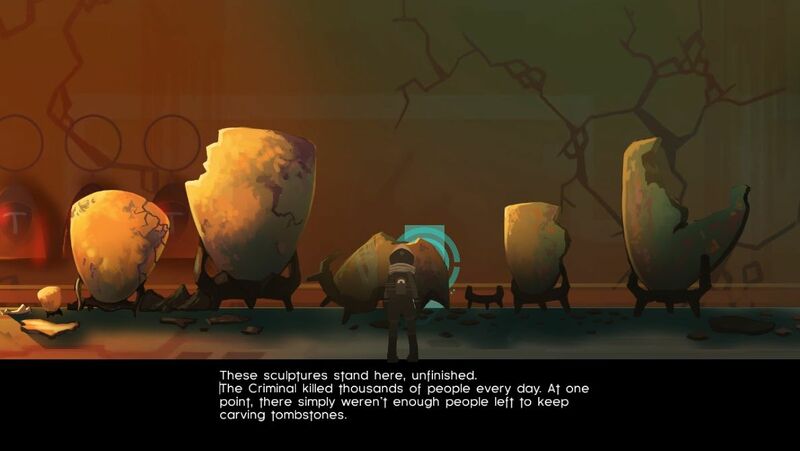 These sculptures stand here, unfinished. The Criminal killed thousands of people every day. At one point, there simply weren’t enough people left to keep carving tombstones. The Criminal walked this world with relentless, methodical grace. It did not need to eat, or to sleep. Justice was its mission and its fuel. This was a church, where people gathered to pray to their gods. They had twelve, but not one lifted a finger to save them. The altars now lay broken, covered in obscene script. This was a school, where they taught science and math and art, about the stars and the wonders of nature. In their last days, teachers told the children how to use a laser gun and how to cover your ears after you throw a shattering grenade. Weapons couldn’t stop the Criminal. But sometimes, they bothered it long enough to allow you to say one last goodbye, to hold a hand, to give a kiss. It was here, on these plains, that you found me. You swept me up in your spaceship, the last person still alive on a world twice dead. You gave me the stars and a place to call home, and never asked questions when you saw me weeping. Do you remember? In the distance, dotting the mountains, forests of T-shaped tombstones gently floated in the air. “Where is the tombstone for the heart of this world?” you asked, and I only gave you a shrug. Before leaving, you used the ship’s lasers to carve a T on the moon. But that’s in the past. This world will soon face its definitive death: swallowed by a crying mother, it will become nourishment to help birth another star. The Criminal never returned to the galactic tribunal. Some think it killed itself, unable to bear the weight of its biggest assignment. Some say it simply went on holiday. Others think the star-mother fell in love with it while it was carrying out the sentence, and chose it to be her next paramour. An admission: I did this. I committed the crime and killed these people. I’d do it again, because there is no worse pain than those of a mother, and no worse fate than living in a world that is already dead. I’ll have to kill you as well now, because you saw my error. For an Executor, there is no worse crime than crying. If I did it again, I’d do it all the same, because this tragedy would not have ended differently. You were all doomed even before this story started. To everyone who died: your only sin was to live in a universe too cruel to care and too wounded to learn to forgive. 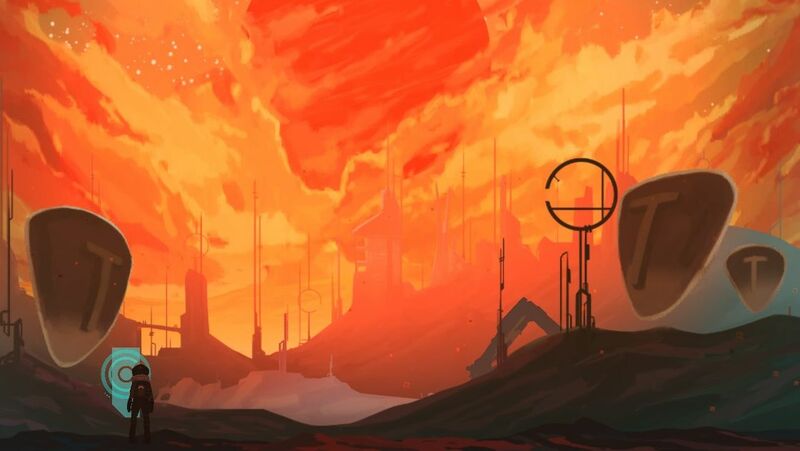 Elegy for a Dead World is on Steam. 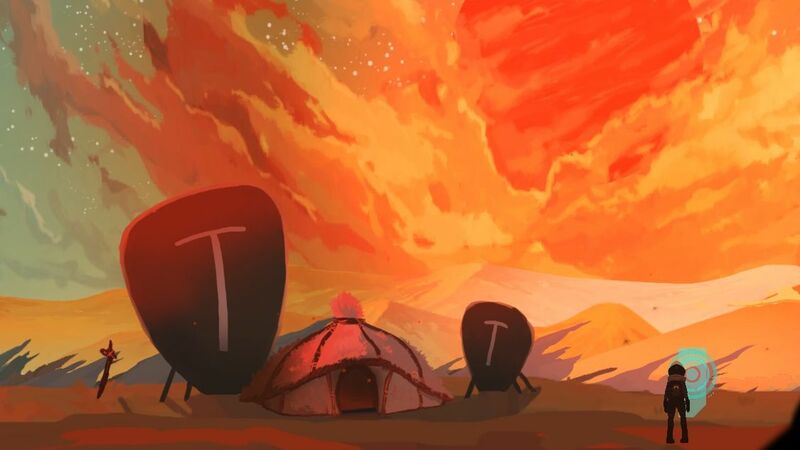 Tagged with Dejobaan Games, feature, popcannibal, Post-Apocalypse Day, Elegy for a Dead World.